Something Worth Living For. . .
Vanity of vanities. . . Solomon begins the book of Ecclesiastes with a rather dismal outlook. "Vanity of vanities, saith the Preacher, vanity of vanities; all is vanity" Ecclesiastes 1:2 He goes on to write twelve chapters only to tell us that everything in life is vanity and nothing satisfies. In next to the last … Continue reading Something Worth Living For. . . Isn't it amazing in our walk with God, how feelings can fluctuate from low to high and back again, depending on circumstances, the weather, what we had to eat, or any number of other happenings in life. "For he knoweth our frame; he remembereth that we are dust." Psalm 103:14 We can go from having … Continue reading Faith! Not feeling. Welcome to Our Daily Walk. 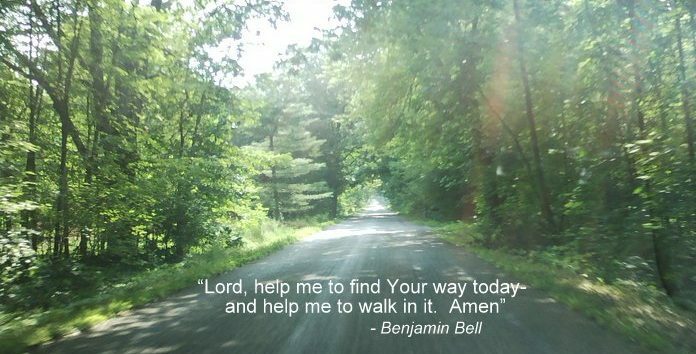 Come walk with me as I share some of the lessons God is teaching me as I walk with Him in everyday life. I hope you can benefit from them too.